Where do my Badge Go ? 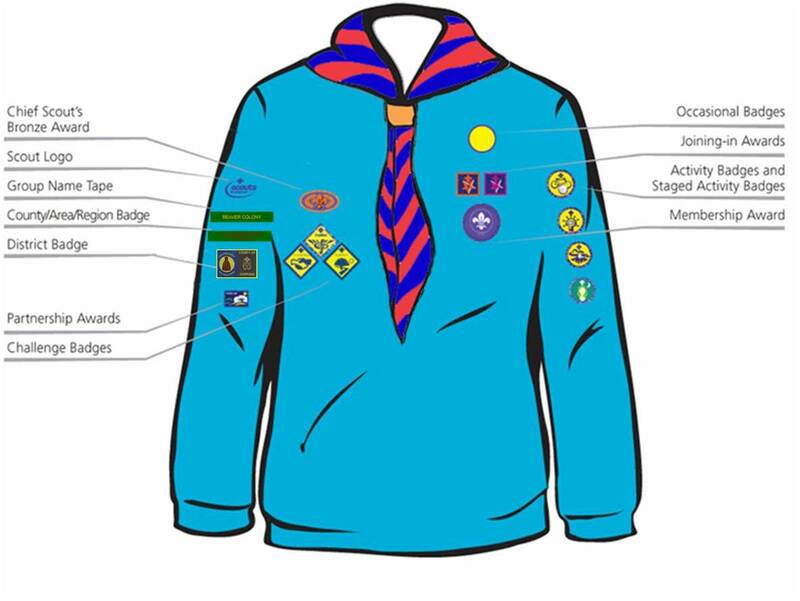 Click the uniform for a quick guide to show the position of the most common Beaver Scout Badges. What Badges can I get ? Click this link to see a list of Activity badges and what to do to get them. 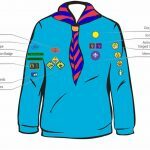 Beaver Scouts wear a common uniform, this uniform consists of a blue Beaver sweatshirt, group neckerchief (scarf) and woggle. The neckerchief and woggle, along with the first badges, are presented to the Beavers during their investiture.